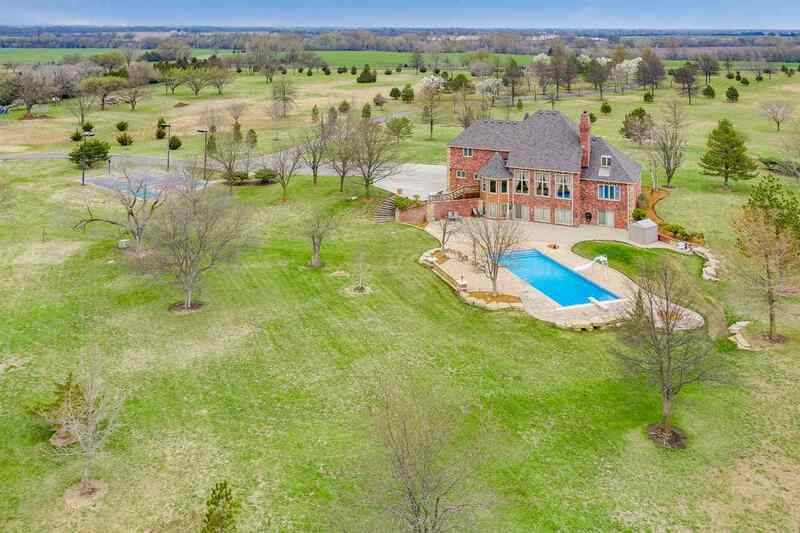 An amazing tree-lined estate with approximately 29 acres awaits a new owner that loves the crisp quiet setting of the country, PAVED ROADS and the close convenience of the city and DERBY SCHOOLS. 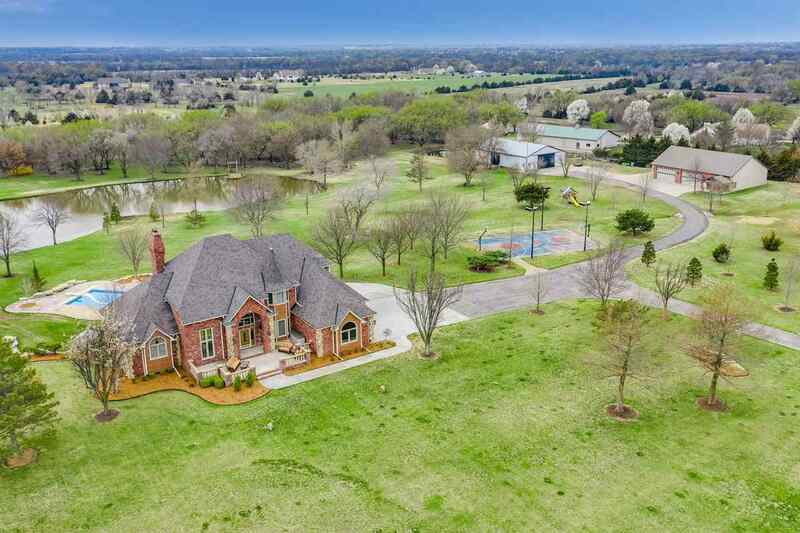 Past the gate and creosote fencing and up the long paved drive, you are welcomed up to this picture perfect brick home with a front courtyard. 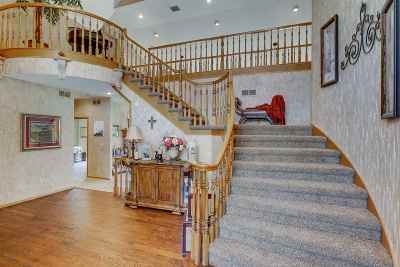 The main floor boasts a dramatic foyer with a 2 story vaulted ceiling & wood flooring; a great vaulted family room anchored by a brick wood burning fireplace; dining room; fully applianced kitchen with island cabinet, granite counter tops, desk, white cabinetry & large eating space with views of the beautiful setting; step down office off the foyer; two guest powder baths & a huge laundry room! 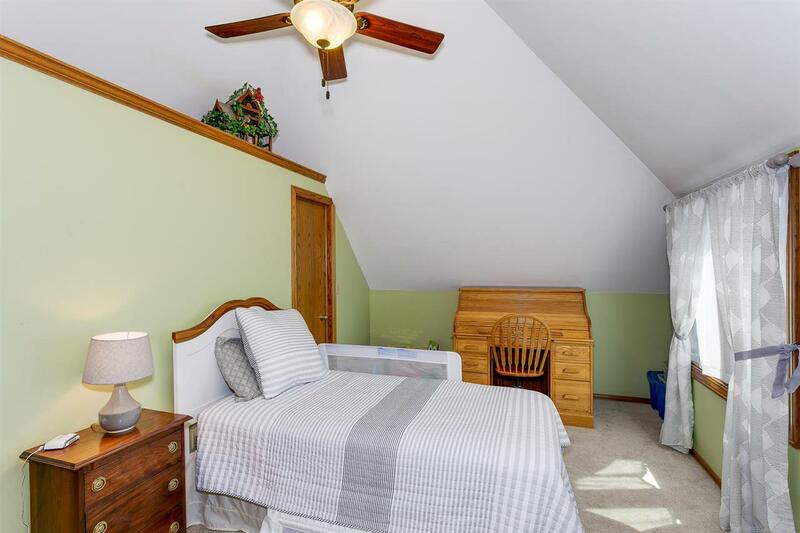 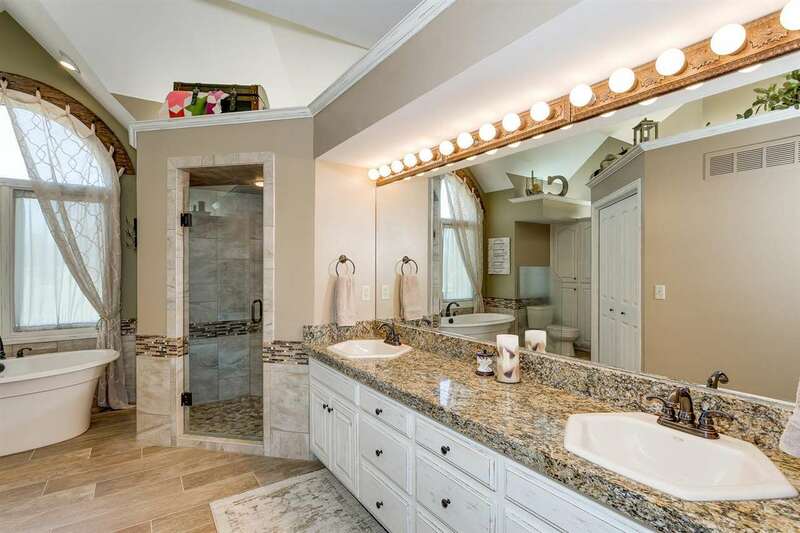 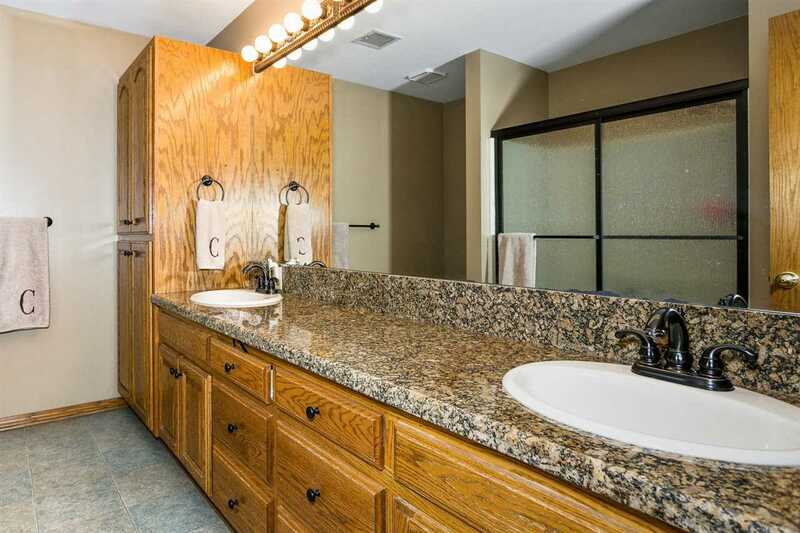 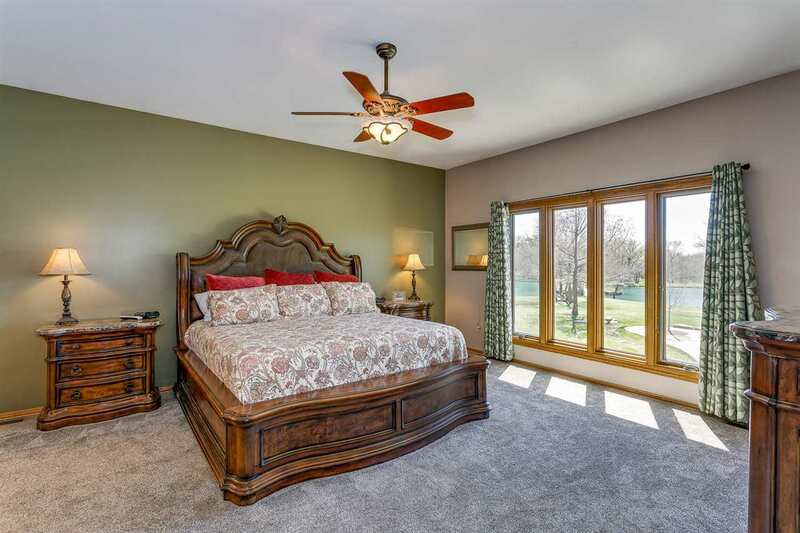 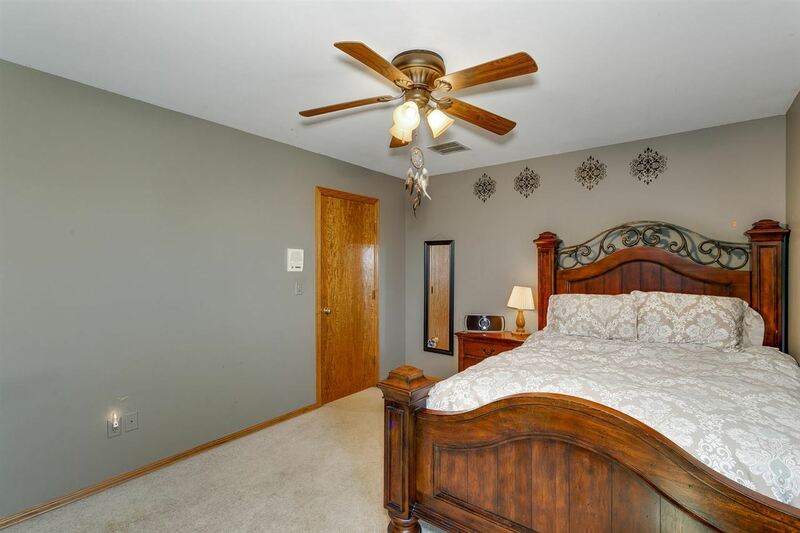 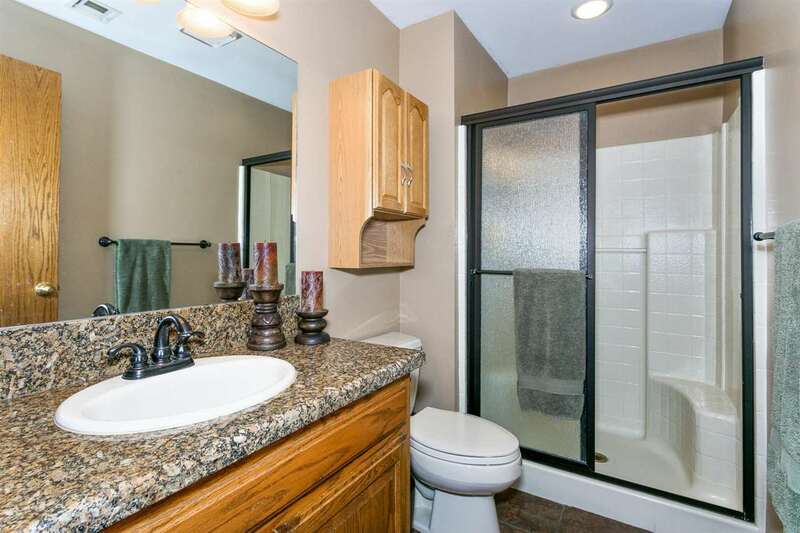 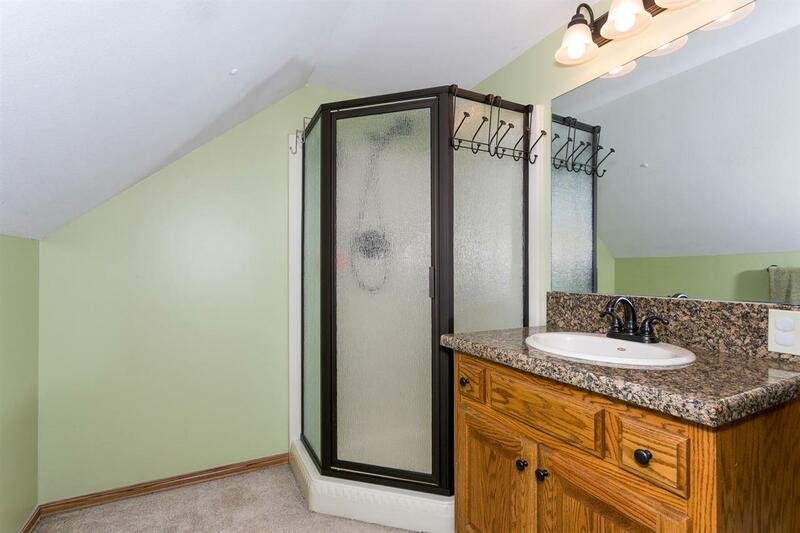 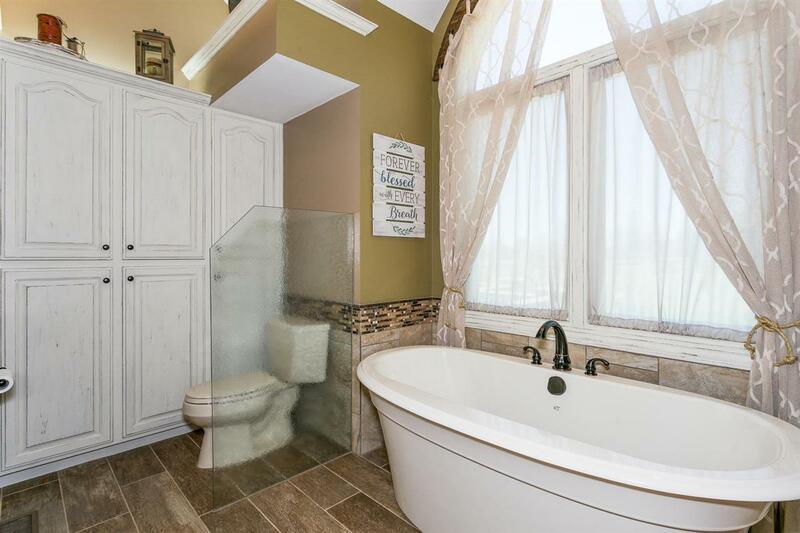 The main floor master suite is a true owner's delight with a walk-in closet, relaxing stand alone tub & a custom walk-in tile shower-bath remodeled in 2018. 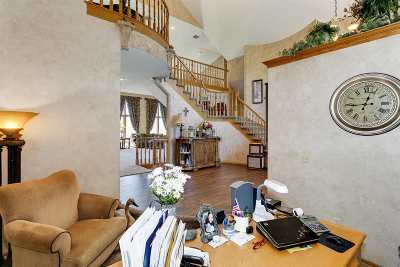 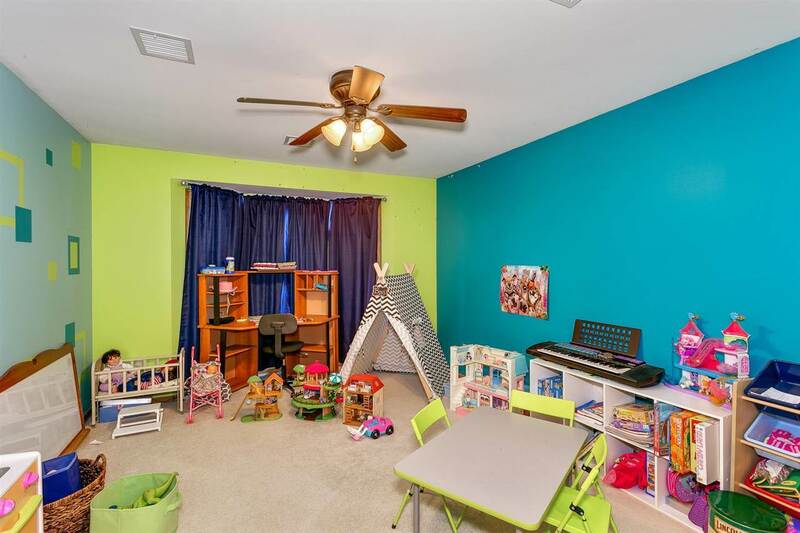 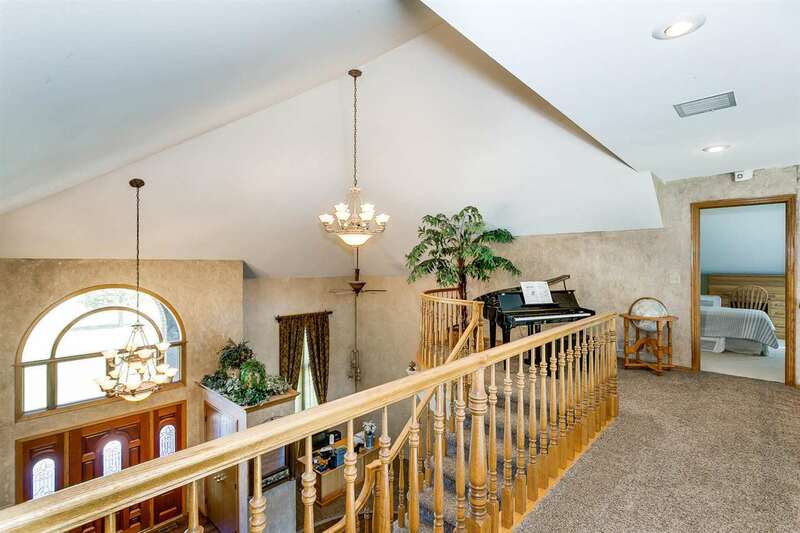 The upper level features 4 additional bedrooms (one with a private bath) and a full hall bath. 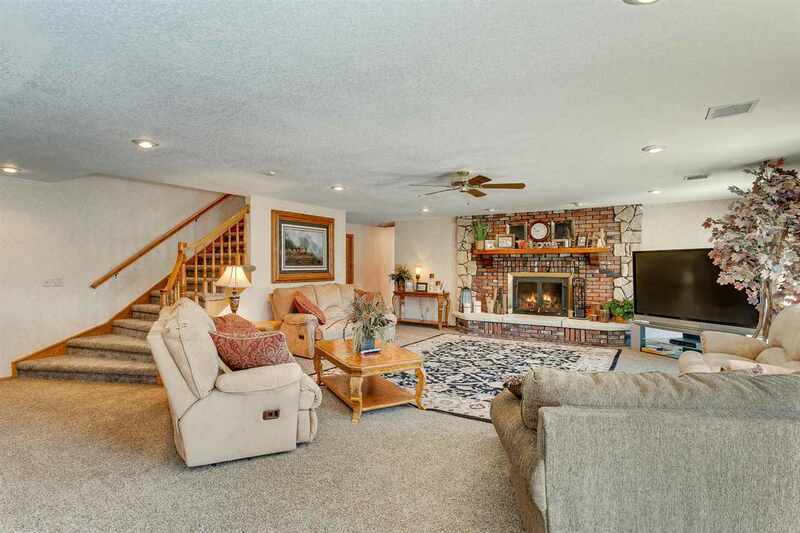 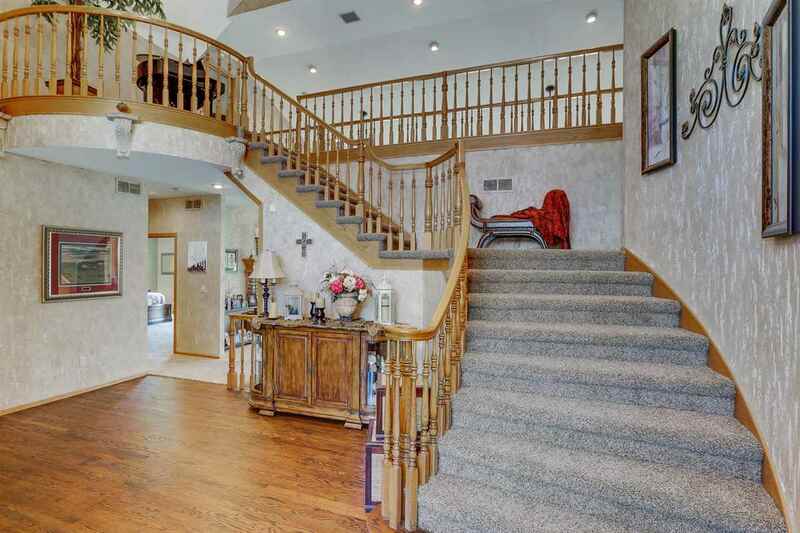 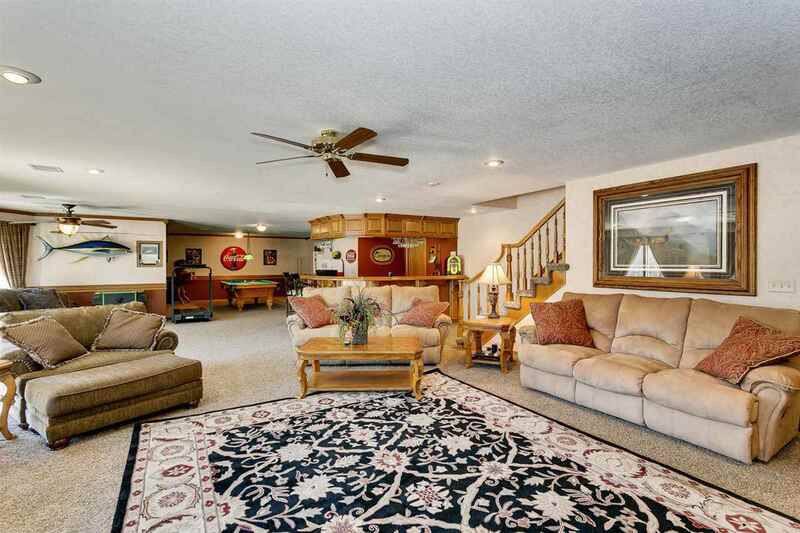 The true walk-out lower level has additional living spaces to enjoy and features a large rec room with fireplace, fabulous full size wet bar, billiards room, bedroom, bath, safe room & a flex space that could be used for an office or an exercise room. 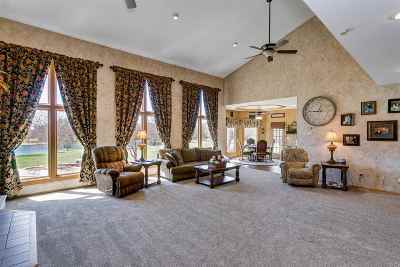 Looking out from the back of the home, this setting will take your breath away with expansive views of the huge lake, swimming pool & trees! 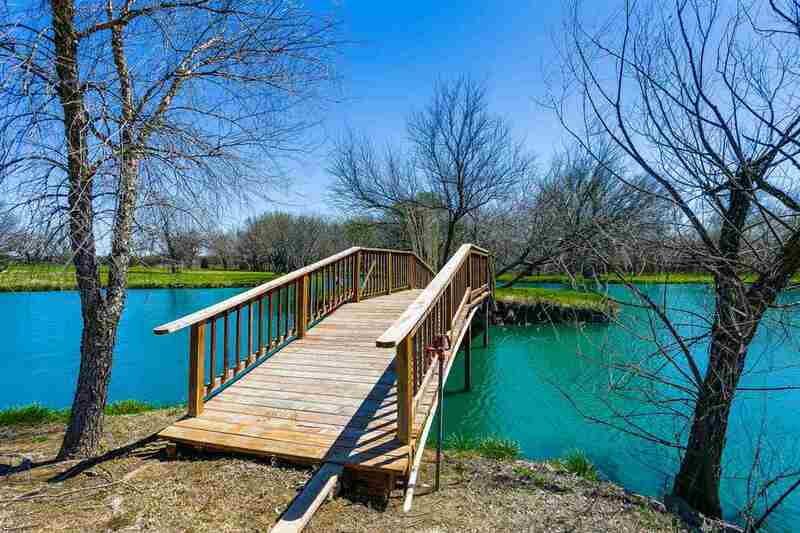 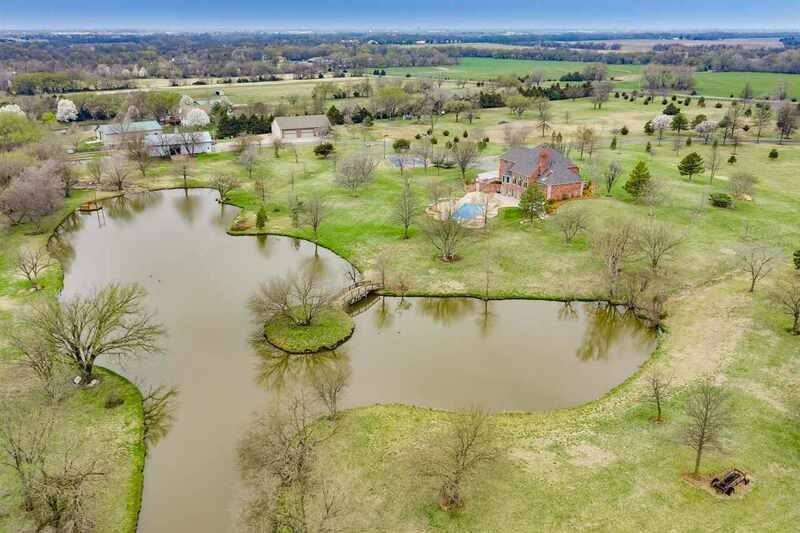 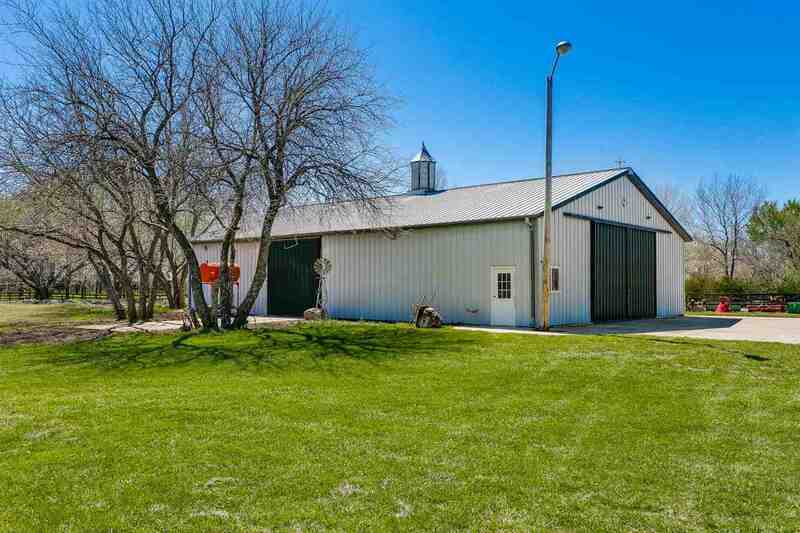 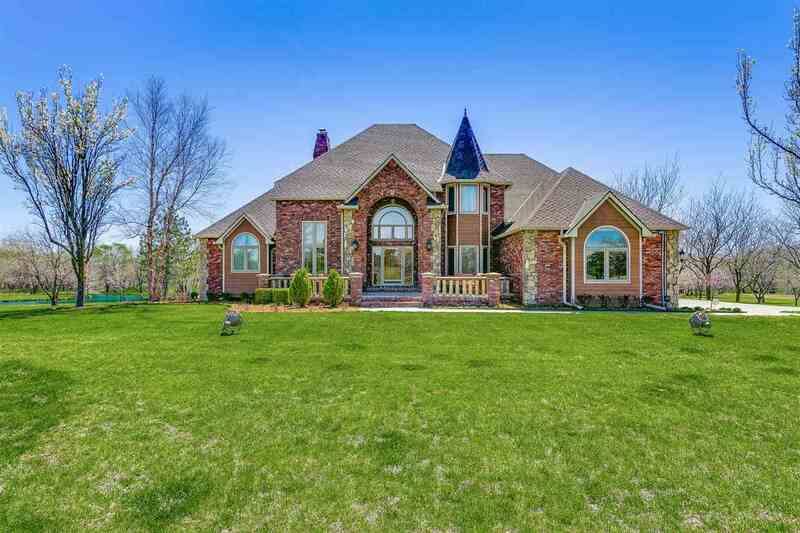 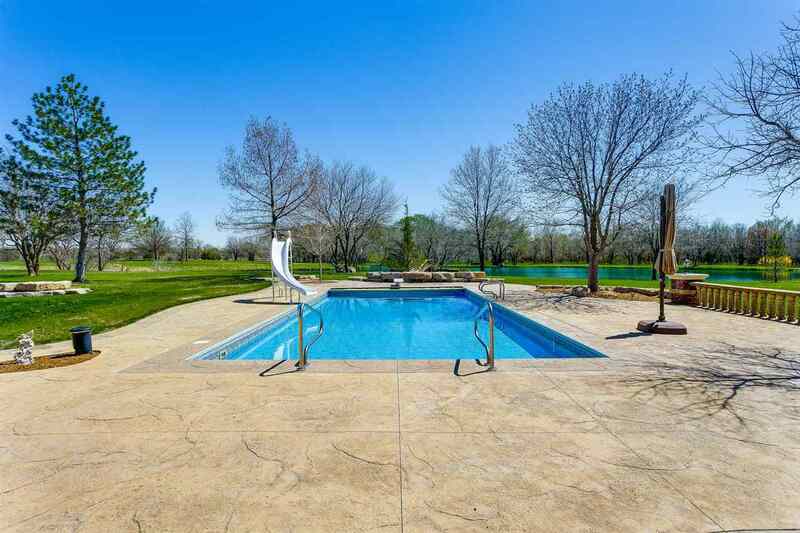 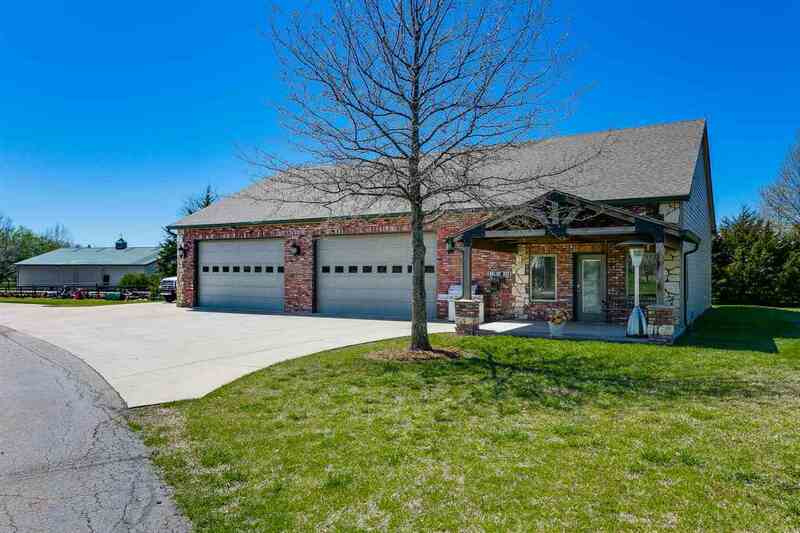 Enjoy the in-ground pool with slide, lighted sport court, 48x72 barn, stocked pond with a bridge to an island & a dock for fishing or swimming, 2 stall horse barn & all the open space!! 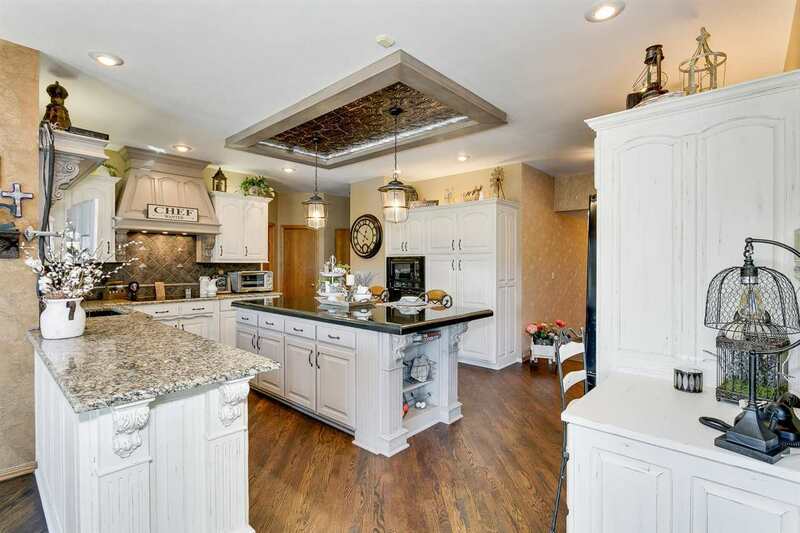 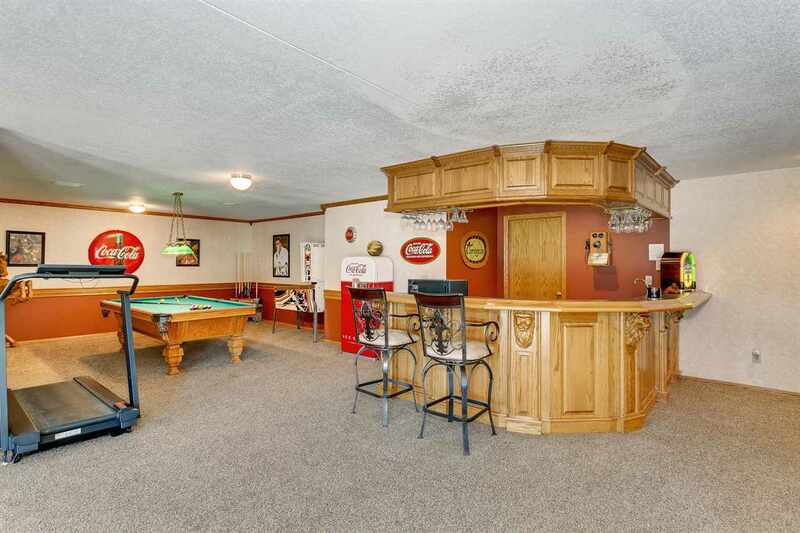 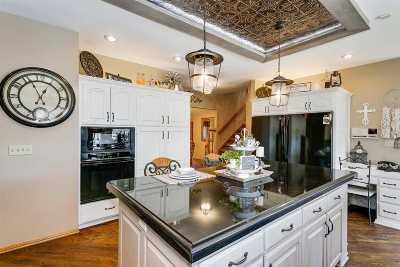 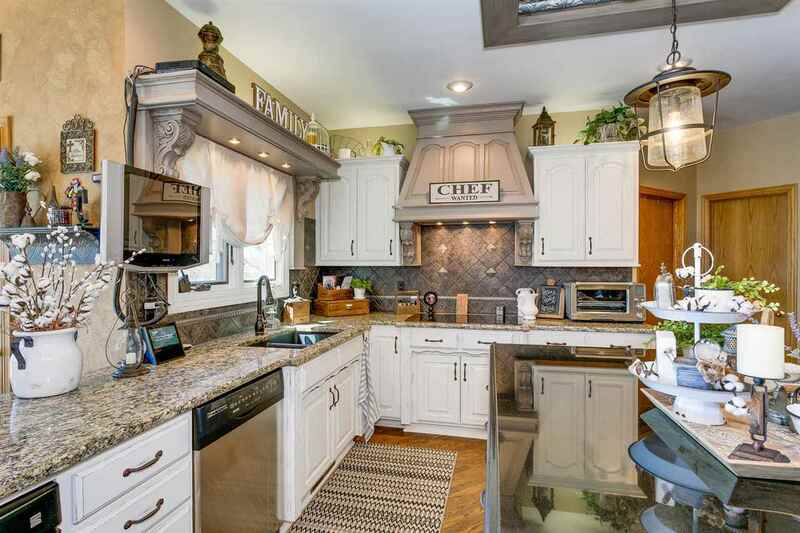 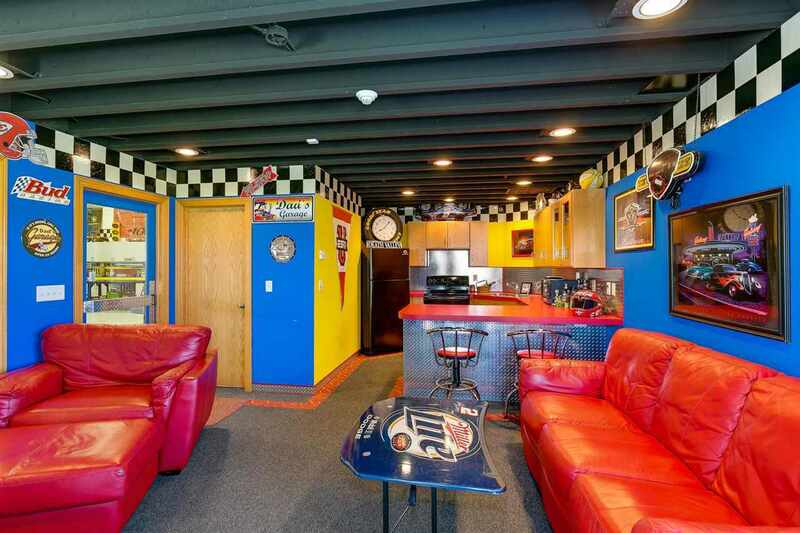 The ultimate "man cave" awaits you detailed in diamond plate with a full size kitchen and a full bath. 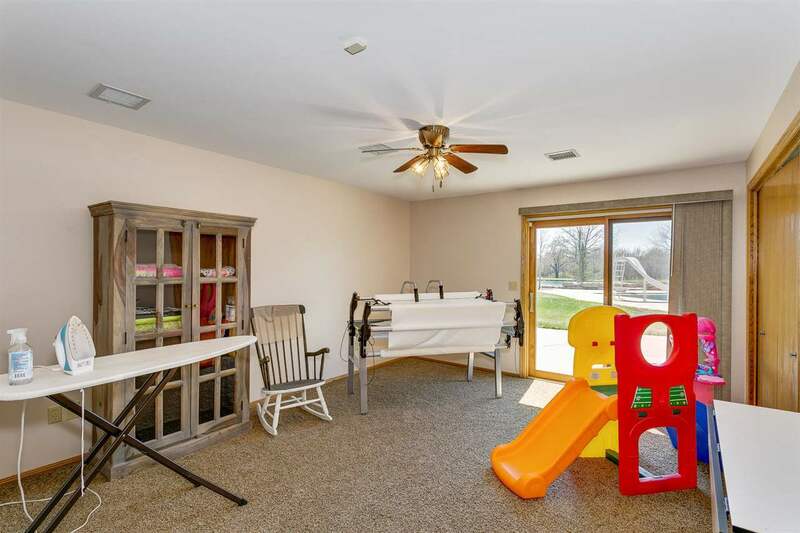 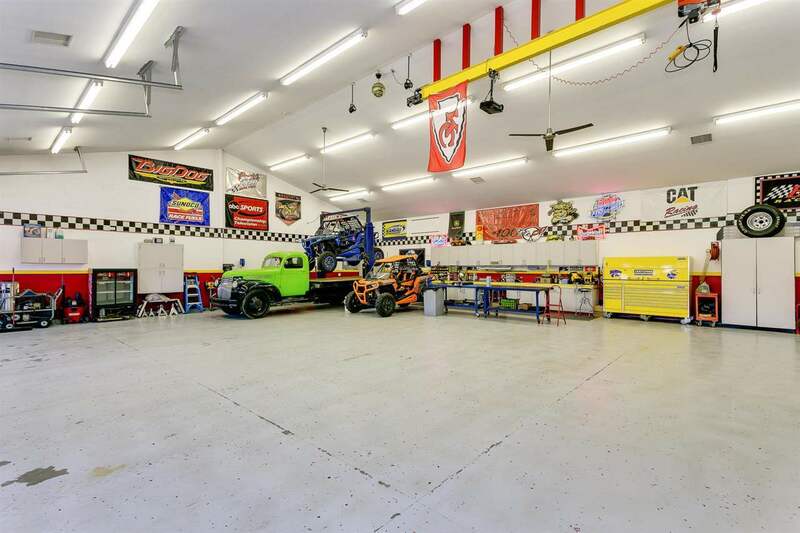 The oversized 50x70 attached garage will surely meet all of your needs with zoned HVAC, built-in cabinets, attic storage, speakers & floor drains!!! 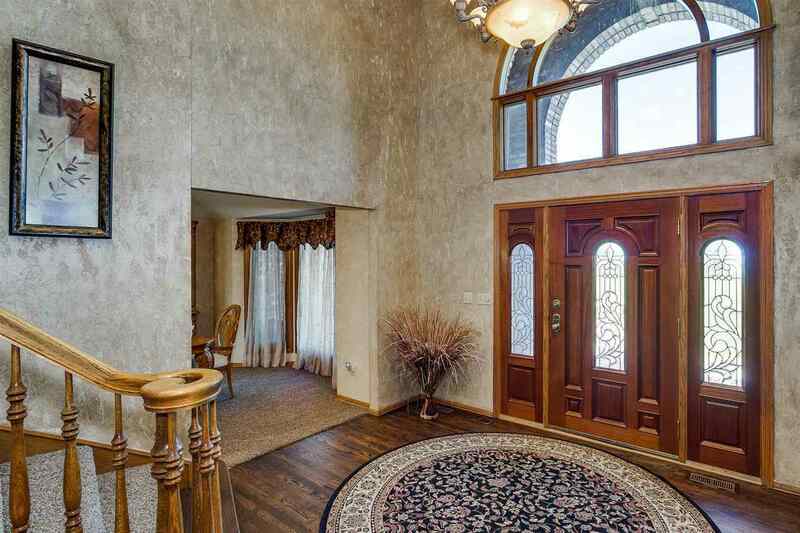 No detail was overlooked when the homeowners built it, such lovely features! 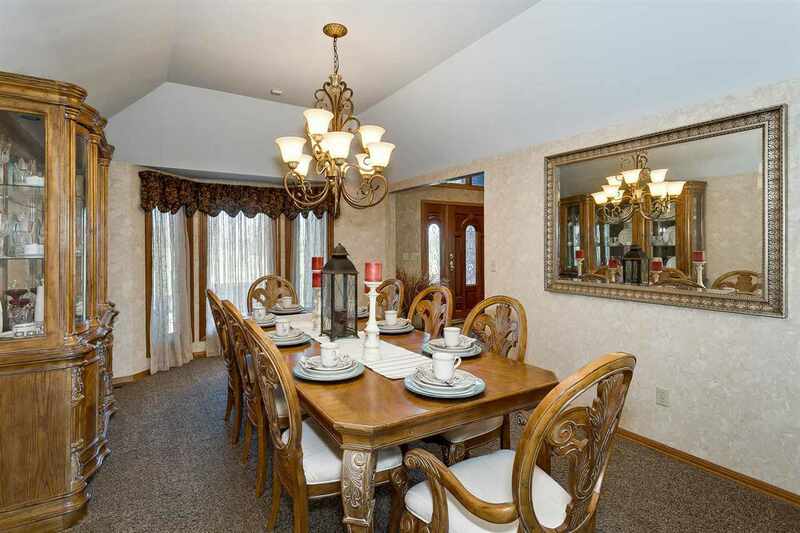 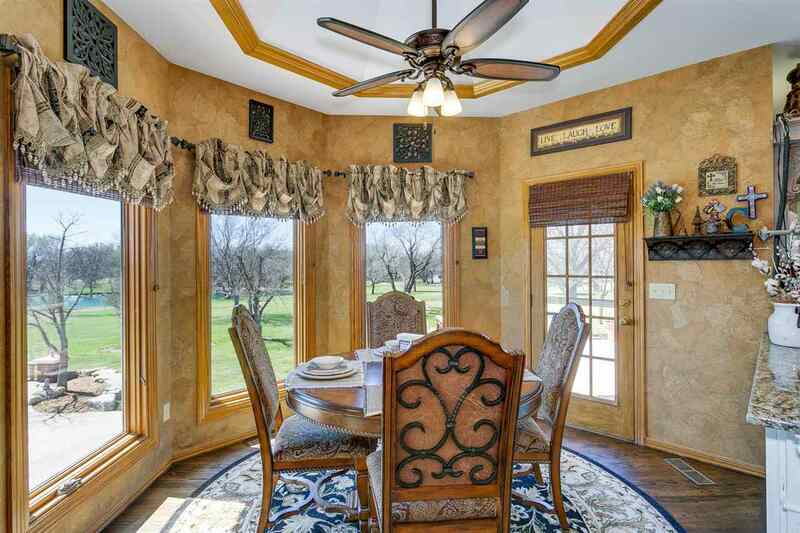 What a beautiful private setting and property, don't miss this one!